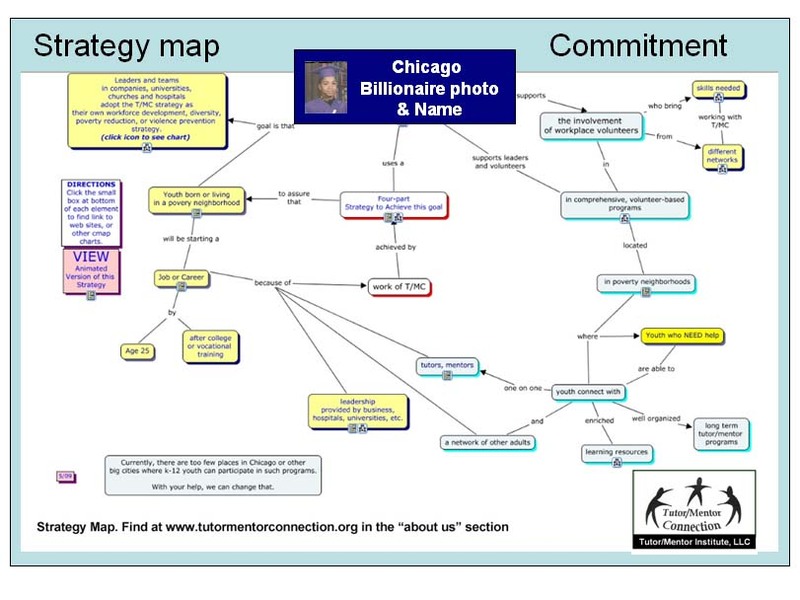 Tutor Mentor Institute, LLC: Billionaires Asking for Your Donations. Billionaires Asking for Your Donations. In Illinois we have three very wealthy men seeking to be elected to the Governor's role in 2018. At least one has the support of other very wealthy people, having just received a $20 million campaign contribution from one. I've been getting email messages from two of these candidates, asking me for donations. Why should I help them when they have not helped me in past years when I asked for their support? What have they done with their wealth that would make me want to vote for one over another? 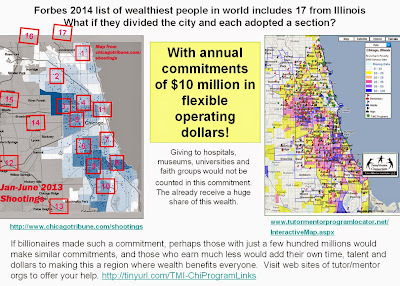 I included this graphic in this 2014 article inviting billionaires to adopt high poverty neighborhoods of Chicago and its suburbs. 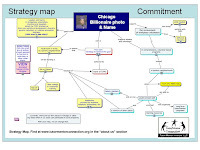 The first commitment would be to adopt the ideas in this strategy map, putting a version of this on your personal, company or campaign website, with your name in the blue box. This means you, or someone on your staff, would open every link and look at all the maps, and embrace all of the strategies. You'd talk about them in blogs, just like I do. The second commitment would be to devote $1 or $2 million a year to make general operating gifts to help every youth serving organization in the areas you have adopted build strong leadership and strong organizational infrastructure. 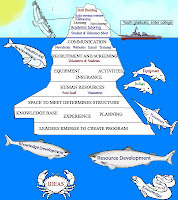 Take the intermediary role I describe in this blog article. That might include $50,000 a year to help me rebuild the Tutor/Mentor Program Locator, described here. I received a $50k gift from an anonymous donor to rebuild my GIS capacity in late 2007. Unfortunately that was not repeated each year after and funding from a major corporation ceased when they were a victim of the financial meltdown of the late 2000s. Thus, the site is now out-of-date. 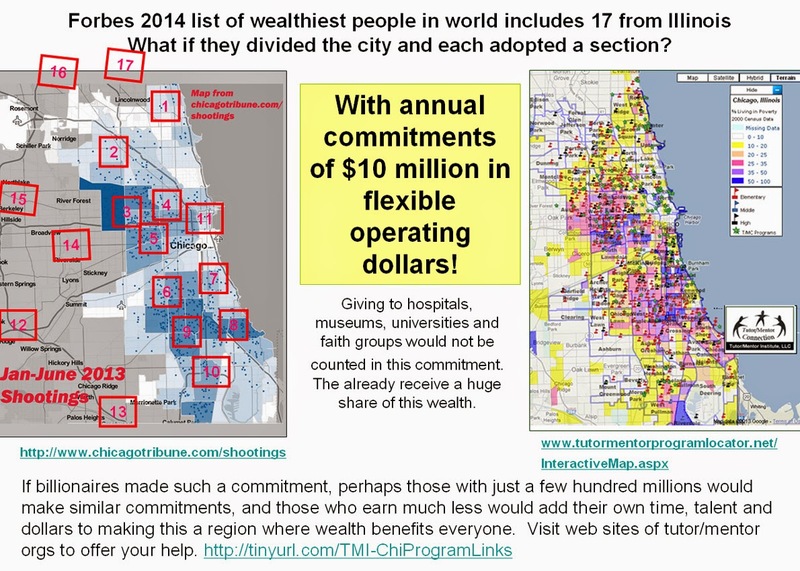 You'd also support the 4 part strategy shown on this map, Step 2 of this shows the need for constant advertising and public education and enlistment of others from business, universities, faith groups, media, entertainment, etc. to share your leadership commitment. I wrote this letter to the family of one of the candidates in 1999. Imagine where we'd be today if that had resulted in support for the Tutor/Mentor Connection for the past 17 years and adoption and leadership of the ideas I've been sharing. I'd want to see this strategy visualized on the candidate's web site, and where it says "donate" or "volunteer" people would be pointed to web sites where they could chose non profits to support with donations and volunteer efforts, not just the candidate's campaign fund. I'd vote for that person. Maybe one of the people who are writing $1 million to $20 million dollar checks to get someone elected to the Governor's office would write a $250k check each year for the next 10 years to support the Tutor/Mentor Connection on one or more college campuses. Update - 5-27-17 - What are foundations and wealthy elite philanthropists doing to counter actions of new administration? See article.